Here we pick one of the array and load it into hash implemented data structure, i.e, HashSet and then proceeds further to find intersection of elements. Brute force algorithm: For every element in array A, traverse through all the elements of array B and find out if the element exists or not. find length of connected cells of 1s(sector) in an matrix of 0s and 1s? find number of islands in a matrix? find connected sectors of a matric? implementation of flood fill algorithm? Consider a two-dimensional grid of cells, each of which may be empty or filled. The filled cells that are connected form a sector. Two cells are said to be connected if they are adjacent to each other horizontally, vertically or diagonally. There may be several sectors on the grid. Your job is to find the largest sector (in terms of number of cells) on the grid. The following figure illustrates a grid with 3 sectors (the largest contains 5 cells). Write a program that determines the size of the largest sector for a given grid. line between two consecutive inputs. The grid is given as a set of string, each composed of 0s and 1s. the grid format. 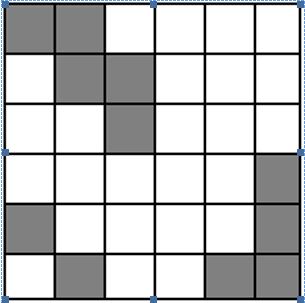 The largest grid that should be considered is a 25×25 grid. will be separated by a blank line. The output is the size of the largest sector found on the grid. Attaching the problem statement, input.txt.